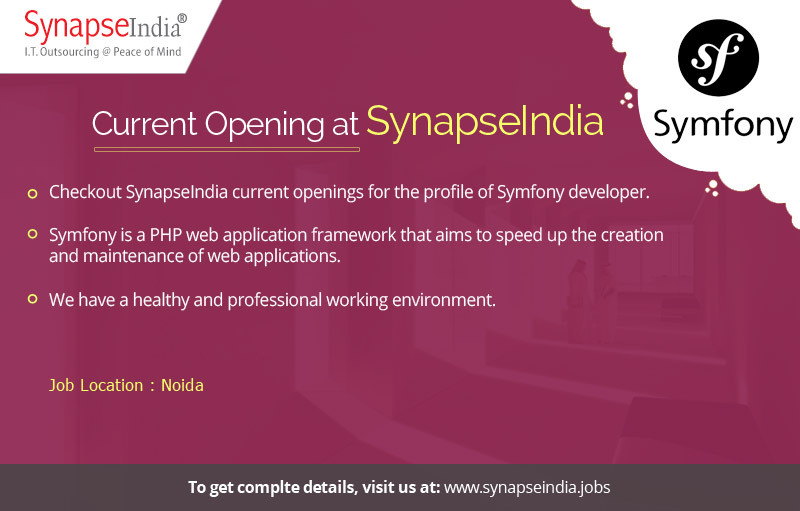 Checkout SynapseIndia current openings for the profile of Symfony developer. The job location is NSEZ, Noida. Symfony is a PHP web application framework that aims to speed up the creation and maintenance of web applications. We have a healthy and professional working environment. Our Symfony team has successfully completed multiple projects on Symfony platform to clients globally.